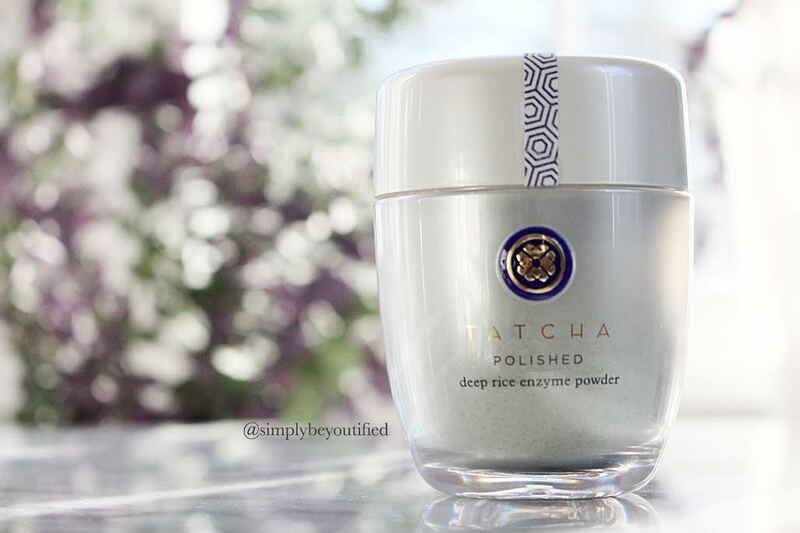 To say that I love the company Tatcha would probably be an understatement, I’m totally obsessed. I raved about their Pore Perfecting Water Gel a few blog posts back but have since tried a few more products and am addicted to them as well! 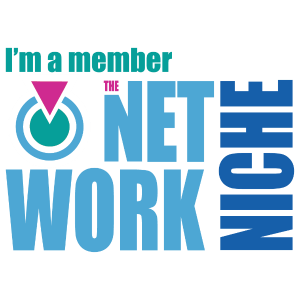 Though TATCHA doesn’t claim to be a natural brand, their products are formulated without sulfates, parabens, phthalates or any other harsh chemicals. And their packaging.. swoooon. Classic Rice Enzyme Powder .:. What is it: An enzyme powder exfoliant & cleanser. Its water activated and contains rice bran extracts, papaya enzymes, and Tatcha’s proprietary complex of HADASEI-3 (green tea & Okinawa red algae). This is fantastic at softening, conditioning and exfoliating skin. I truly LOVE this product. Its water activated and forms a really smooth, creamy paste like texture. It’s gentle enough for daily use but still gives you that really clean refreshed feeling and leaves your skin glowing. I’m trying to stick to a more consistent skincare routine to avoid irritating my skin and haven’t had ANY issues with this and use it every morning. My pores look visibly reduced and my skin is left polished and baby soft. Pore Perfecting Water Gel •• This has been a staple in my daily routine for months and something I will repurchase time after time. Its a lightweight illuminating water-gel moisturizer that offers oil-balancing hydration. It’s non-irritating, non-sensitizing and dermatologist tested. 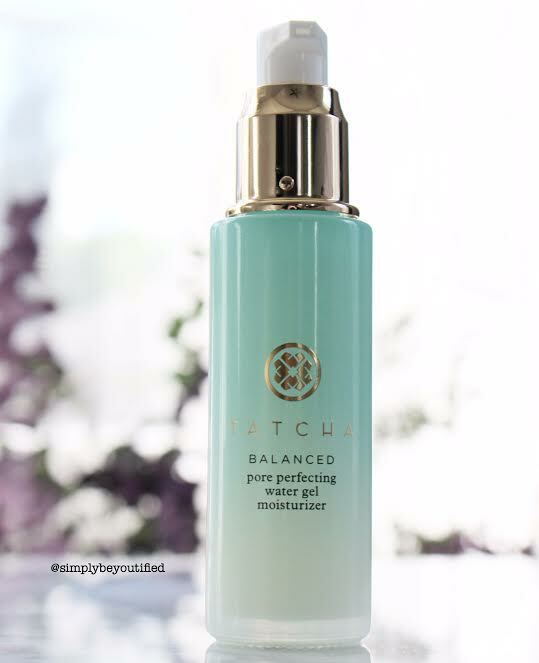 It’s formulated with the perfect balance of oil and water to keep those with oily/combination skin balanced and hydrated. It’s a powerful combination of Japanese Wild Rose, Leopard Lily and Dokudami extracts to balance and clarify skin, and an added bonus of 23k gold dust to create a warm luminous glow. It’s a really light, watery texture that melts right into your skin upon application. Probably my favorite moisturizer ever. 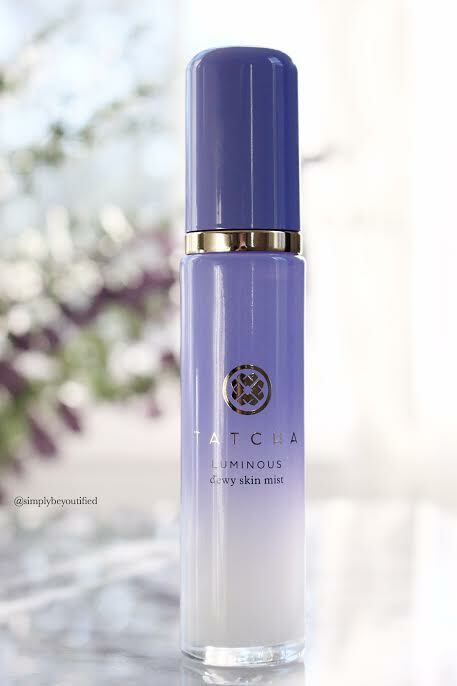 Tatcha Luminous Dewy Skin Mist .:. SO – apparently this product was made famous by Kim K (not why I wanted this). And as easy as it is to jump on the bandwagon of celebrity endorsed products, many are total fails and done only for personal gain. NOT the case with this, this one is worth the rage. It’s a fine mist moisturizer for glowing, luminous skin and is ideal for normal, dry and combination skin types. I love using this after applying my makeup as a setting spray that keeps everything in place and gives an overall glow. It contains botanical oils their powerful HADASEI-3 formula. It’s hydrating without being too oily, however – if you have oily skin, be mindful when using it. Only 1-2 spritzes needed for the perfect amount of glow that revives dull skin and adds the perfect touch to your finished makeup. Previous Post IT Cosmetics Bye Bye Collection Launches at Sephora! Tatcha dewy skin mist is everything!! !